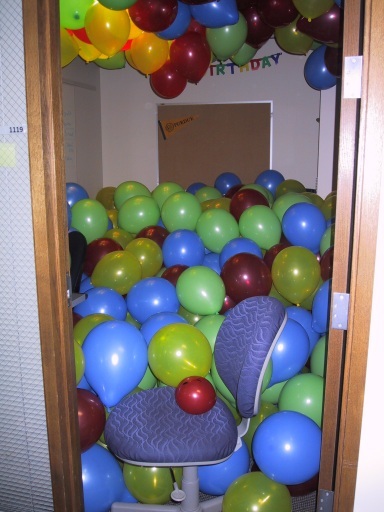 One of my friends had a birthday in November, so we did this to her office. She and her officemate had fun working the next day. :) This sort of thing is not uncommon at all around here, particularly if someone's getting married. This page contains a single entry from the blog posted on November 23, 2004 9:04 PM. The previous post in this blog was Life has stolen all my updates!. The next post in this blog is Thanksgiving, etc..